Serving the needs of our customers has been the foundation on which Central Iowa Mechanical has conducted business since 1946. From expert plumbers and pipe-fitters serving in the field, to experienced project managers, every project is carefully completed through careful pre-planning, communication, and team work. From concept and budgeting, through design and installation, our staff will be committed to you with the most cost-effective solutions for any piping requirements. We are signatory to Plumbers and Steamfitters Local #33; our plumbing and pipe fitting personnel serve a 5-year apprenticeship and receive continuing education after achieving journeyman status. That means you can be confident that our trained and licensed professionals are fully prepared to handle your commercial, institutional, or industrial needs. 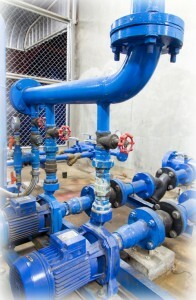 Our team has an extensive background in a variety of plumbing and piping applications, so no matter whether larger or small, complex or routine, each project is given the special attention it deserves to ensure that each customer becomes a repeat customer.